What is TRE® and how can it help me? We know that there is no one who lives without stress. But when it comes to ‘Trauma’, many people think they have nothing to do with it. But Trauma is actually the extension of prolonged stress, which is not so obvious like memorable shocking events in life. Prolonged stressful circumstances such as overwork, long-term financial hardship, relationship problems can damage your life in a same way as ‘traumatic event’ such as traffic accidents, severe injuries, physical surgeries, direct experience of disasters, which are all contributing to lack of physical energy, concentration, motivation, patience, and increase irritation, anger and anxiety. PERSONAL INDIVIDUAL SESSIONS. These sessions work at a deeper level and includes personal coaching time. COUPLE SESSION. TRE® helps couples experience enhanced connections. Sometimes our nervous systems get increasingly out of sync with our partners’ due to the stress of the everyday grind. Our nervous systems drift and doesn’t connect in the same way anymore. The sessions will focus on the Social Engagement Nervous System and how TRE®, allows you to enhance your connection with your partner. Sae will teach each couple how support each other in a way that further reinforces your engagement. You will learn to hold space for each other so you can practice this on your own at home. At the end of the session, you will have an opportunity to share the experience with each other. There may be some level of emotional release in the process but all will be sensitively guided by Sae. Do note that the sessions are not about counseling to solve problems. It is designed to enhance the couple relationship. The TRE® INTRODUCTORY WORKSHOP will acquaint you with a self-help method called TRE® (Tension and Trauma Releasing Exercises). Experience how TRE® gently triggers the body to release stress and tension. TRE® is designed to be a self-help tool that, once learned, can be used as needed throughout one’s life, thereby continuously supporting and promoting physical, mental and emotional health and wholeness. It can be taught either as a simple, self-help tension reduction technique or as an effective complementary practice when integrated with other treatment modalities by those in the healing professions. This includes the treatment of Post Traumatic Stress Disorder (PTSD) and anxiety disorder recovery. It can be taught in large groups for communities or workplaces, and can promote cohesiveness and openness between participants and can enable individuals to re-connect with themselves and re-engage with others, thus helping the groups regain a sense of connectedness and enhance the teamwork. These sessions are NOT designed for health workers and psychotherapists for their professional use, but designed for people who would like to use TRE for their own self-care and maintenance. These sessions are NOT suitable if you experienced serious illnesses and surgery in the last 6 months, currently undertaking psychotherapeutic interventions and medications or are currently being pregnant. Please talk to us separately if you are unsure. Please text or call Kah Keh at 9679 3706 or email KahKeh.Ho@GalleryHelios.com if you are making a bank transfer or sending a cheque. Specialising in Post-Disaster Management, Life Coaching, Facilitation and Training, Sae has worked with more than 600 people all over Asia who are struggling with stress and trauma, and improved their physical and emotional wellbeing. Originally from Japan, having lived in the UK, Indonesia, Thailand, East Timor and Nepal, Sae has extensive life and professional experience as well as a global perspective. PERSONAL INDIVIDUAL SESSIONS. These sessions work at a deeper level and includes personal coaching time. More information below. Do note that the sessions are not about counselling to solve problems. It is designed to enhance the couple relationship. No one lives without STRESS. But when it comes to ‘Trauma’, many people think its got nothing to do with them. ‘Trauma’, is actually the extension of PROLONGED STRESS. While it is not as obvious as shocking unexpected events, it has a similar impact on our physical body. Prolonged exposure to stresses like overwork, long-term financial, caregiving or relationship challenges can cause damage in the same way as a ‘traumatic event’ can. The symptoms that show up can include the lack of physical energy, concentration, motivation, patience, as well as increased irritation, anger and anxiety to name but a few. The INTRODUCTORY WORKSHOP will acquaint you with a self-help method called TRE® (Tension and Trauma Releasing Exercises). TRE® gently triggers the body to release stress and tension. The 2-DAY WORKSHOP will deepen your understanding of the simple neuro-physiological mechanisms which invoke emotional reactions when there is stress and trauma. Because it is held over 2 days, the nervous system will be entrained to deepen the relaxation and release. By learning TRE®, you can practice regularly in the comfort of your own home. You will experience significantly reduced emotional and physical symptoms caused by stress and trauma. Improved sleep, emotional stability, concentration, and appetite are some of the positive effects of practicing TRE®. How prolonged stress affects your life. The difference between stress and trauma. The course is NOT designed for health workers and psychotherapists for their professional use, but designed for people who would like to use TRE for their own self-care and maintenance. This course is NOT suitable if you experienced serious illnesses and surgery in the last 6 months, currently undertaking psychotherapeutic interventions and medications or are currently being pregnant. Please talk to us separately if you are unsure. Please text or call Siewfan at 9459 8262 or email Siewfan.Wong@GalleryHelios.com if you are making a bank transfer or sending a cheque. With the focus on Post-Disaster Management, Life Coaching, Facilitation and Training, Sae has improved the well-being of more than 600 people all over Asia who were struggling with stress and trauma. 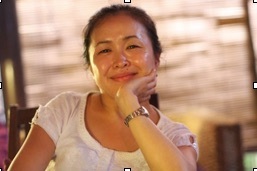 Originally from Japan, Sae has lived in the UK, Indonesia, Thailand, East Timor and Nepal. Sae has a global perspective because of her rich experience in life and in her profession. We know that there is no one who lives without stress. But when it comes to ‘Trauma’, many people think they are nothing to do with it. But Trauma is actually the extension of prolonged stress, which is not so obvious like memorable shocking events in life. Prolonged stressful circumstances such as overwork, long-term financial hardship, relationship problems can damage your life in a same way as ‘traumatic event’ such as traffic accidents, severe injuries, physical surgeries, direct experience of disasters, which are all contributing to lack of physical energy, concentration, motivation, patience, and increase irritation, anger and anxiety. This 2-days workshop will help you to learn a Self-Help method called TRE® (Tension and Trauma Releasing Exercises) and understand simple neuro-physiological mechanism of how emotional reaction occur by stress and trauma. By learning TRE®, you can regularly practice (45 min at the beginning and only 15 minutes thereafter) on your own at home which will significantly reduce emotional and physical symptoms caused by stress and trauma. You may experience improved sleep, emotional stability, concentration and controlled eating habit. You will generally feel good and feel at peace! How prolonged stress affect your life. Private Sessions 27 – 30 September. This 3-evenings workshop will help you to learn a Self-Help method called TRE® (Tension and Trauma Releasing Exercises) and understand simple neuro-physiological mechanism of how emotional reaction occur by stress and trauma. By learning TRE®, you can regularly practice (45 min at the beginning and only 15 minutes thereafter) on your own at home which will significantly reduce emotional and physical symptoms caused by stress and trauma. You may experience improved sleep, emotional stability, concentration and controlled eating habit. You will generally feel good and feel at peace! This is a lighter version of our weekend workshop, i.e., 6 hours compared to 12 hours. The topics covered are the same.